A Global Prayer & Meditation Day: Sunday, September 10, 2017 — What’s the intention? If you are awake, you know that each and every human being alive today is under ongoing assault. These assaults are many and varied, some much more deadly and destructive than others. 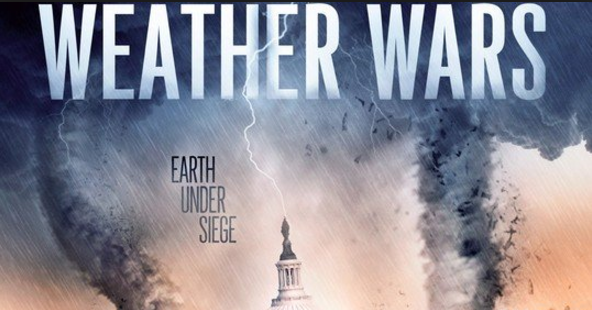 In fact the entire planetary civilization has been relentlessly assailed by different types of weather warfare for decades. Also known as geoengineering, this covert government operation has morphed into a full-scale war on the human race. While many of us are familiar with the ever-present chemtrails and misutilization of HAARP; there are still countless others who are not. More accurately these clandestine false flag attacks utilize weaponized weather to terrorize a targeted nation or population. Hurricane Harvey and Irma are both graphic examples of fabricated superstorms which were aimed at the United States. So were the 3 sisters of 2005—Katrina, Rita and Wilma, as was Superstorm Sandy in 2012. With each act of cataclysmic weather warfare and environmental terrorism, the biosphere has become increasingly degraded. The 2017 hurricane season illustrates just how quickly regions of the world can be devastated and descend into chaos. The record-shattering Los Angeles fires, along with the wildfires in Montana, Idaho and Washington, provide other recent examples of weather manipulation gone awry. Unknown to most, numerous forest fires, brush fires and grass fires have been deliberately started in the wake of droughts by the same forces who direct the geoengineers. In view of Hurricane Irma bearing down on Florida, it’s clear that the weather controllers intend on inflicting yet more damage to the US mainland after HARVEY struck Texas. There are specific reasons why South Florida is being threatened at this time, just as the greater Houston area was flooded during August. Nevertheless, the critical point is that any coastal city in the world can be victimized by weaponized weather. Every major city, then, is a highly vulnerable sitting duck, particularly those located on a coastline anywhere in the world. 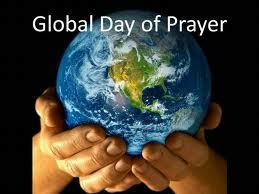 Which brings us to the intention of this Saturday’s Global Prayer and Meditation Day. • The intention behind this unprecedented event on September 9th is the immediate termination of all geoengineering programs worldwide. • The intention seeks to ban all chemtrail spraying and chembombing around the globe. • The most important intention behind this global gathering of souls is to stop the weather warfare going on across the planet today. • Likewise, We the People intend to bring about the cessation of environmental terrorism in all of its many forms. Everyone who resonates with these intentions can do whatever they are inspired to. Pray, meditate, chant, contemplate, sing, mantra, fast, repent, scriptural study, selfless service, write a poem, do charitable works, offer donations, etc. Each of these spiritual practices can be offered for the fulfillment of the previously stated intentions. You can perform these in a group or do them alone in your meditation room. You can get together in nature, or congregate in a church, temple or mosque. You can join an Internet forum prayer group or create a YouTube sacred space. Saturday, September 9, 2017 — All day long or as long as you like. Sunday, September 10, 2017 — All day long or as long as you like. Monday, September 11, 2017 — All day long or as long as you like. With focus and faith, devotion and love, determination and discipline, benevolence and good will. With all your heart and mind, body and soul. With great respect for the powerful forces of Mother Nature. Welcome to the upcoming Global Prayer and Meditation Day! May geoengineering be eliminated forever, and chemtrails never again appear in the skies. May the weather wars and enviro terror be ended for good. And may God bless the world community of nations as each renews their relationship with Mother Earth. P.S. If you have received this invitation, it’s because the Universe wants you to read it. For those who are moved to act on it, we suggest that you first disseminate it far and wide. The more likeminded souls there are who coalesce around our intention, the more successful this Global Prayer & Meditation Day will be.